Lovely 4 bedroom self catered chalet sleeping 10 guests with Jacuzzi and large balconies to indulge in a little apré ski before hitting the hot tub! 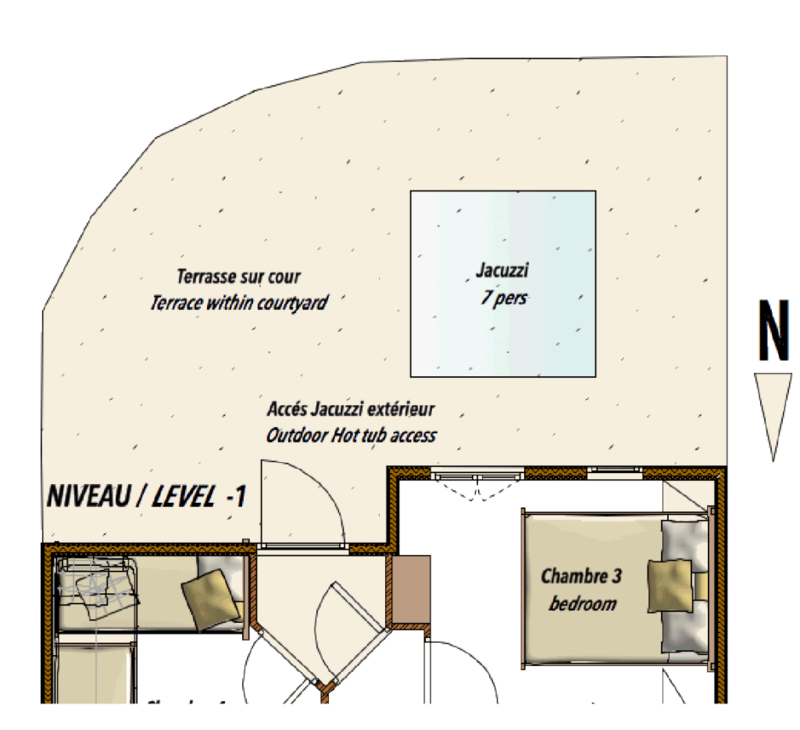 Chalet Velours has 4 bedrooms (2 doubles and a 2 triples) and can sleep 10 people. The kitchen/dining area is open-plan with a well-equipped kitchen that opens into the cosy living area with log fire and panoramic balconies. New to us for the 2018/19 ski season, Chalet Velours is a fabulous chalet sleeping 10 guests across 4 en-suite bedrooms and so is perfect for families and groups of friends. It is located in the exclusive village of St Marcel, just above St Martin de Belleville.